GuideConnect is a talking digital assistant that brings you closer to family and friends. It helps you manage your everyday life and have fun. Simple internet access makes it easy to find information, be entertained and stay up-to-date with what’s happening in the world. 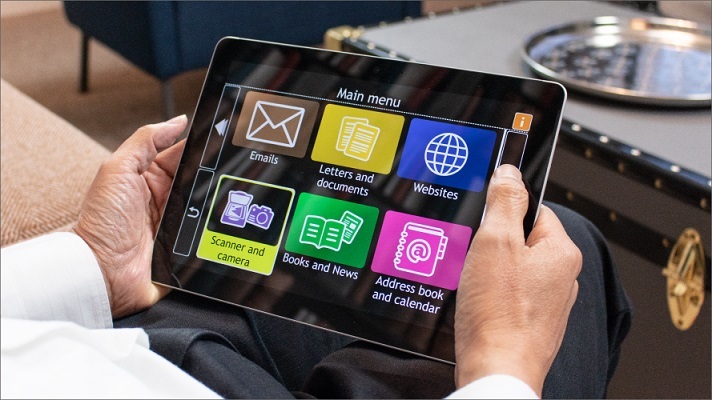 GuideConnect is thoughtfully designed by and for people with sight loss, enabling you to enlarge the text or have it read to you. There are straightforward menus and lots of help. GuideConnect will talk you through every step of the way - you won’t believe how easy it is to use!